The second orbital launch attempt for a private Chinese company has failed. 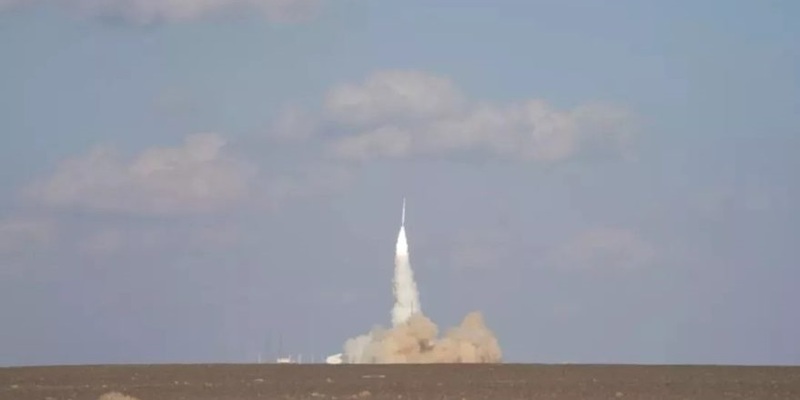 OneSpace Tech’s OS-M Chongqing launch vehicle was attempting to orbit the small Lingque-1B technology demonstration satellite from the Jiuquan Satellite Launch Center. The launch took place at 09:32 UTC on Wednesday but failed shortly after entering second stage flight. An anomaly occurred within “tens of seconds” after OneSpace’s OS-M1 rocket blasted off, the official Technology Daily reported, declaring that the launch had failed. The OS-1M is a solid fuel three stage orbital launch vehicle capable of orbiting 205 kg to a 300 km high LEO or and 73 kg to a 800 km high SSO. The OS-M rockets may use demilitarized solid rocket motors from retired missiles. Stage one has a fixed nozzle with steerable thrust vanes and fins, while the second stage, which is identical to the first stage, uses only thrust vanes and no fins. Identical to the OS-X prototype launch vehicle, the third stage uses only thrust vanes. Additionally to the OS-M1, OneSpace is developing the OS-M2 and OS-M4 versions. The OS-M2 is similar to the OS-M1 but has two side boosters. Block A version will be capable of lifting 390 kg to LEO and 204 kg to a 800 km SSO, while block B will be capable of lifting 505 kg to LEO and 274 kg to 800 km SSO. One Space Tech was founded in August 2015 with three main business sectors starting with the development of the M-series commercial launch vehicle to provide high-frequency, cost-effective, and high-quality launch service to small and micro satellite customers. The maiden launch of OneSpace's suborbital OS-X – OS-X0 – rocket “Chongqing Liangjiang Star” launch vehicle took place on May 17, 2018.